You may have heard that the HomePod ($349) and Spotify don’t mix. But that is patently, unequivocally false. I’m a HomePod owner who has listened to music exclusively through the popular streaming service, and my experience has been nothing short of painless. You simply don’t need an Apple Music subscription in order to enjoy Apple’s smart speaker. In the larger picture, I realize my experience doesn’t match what Apple intended. 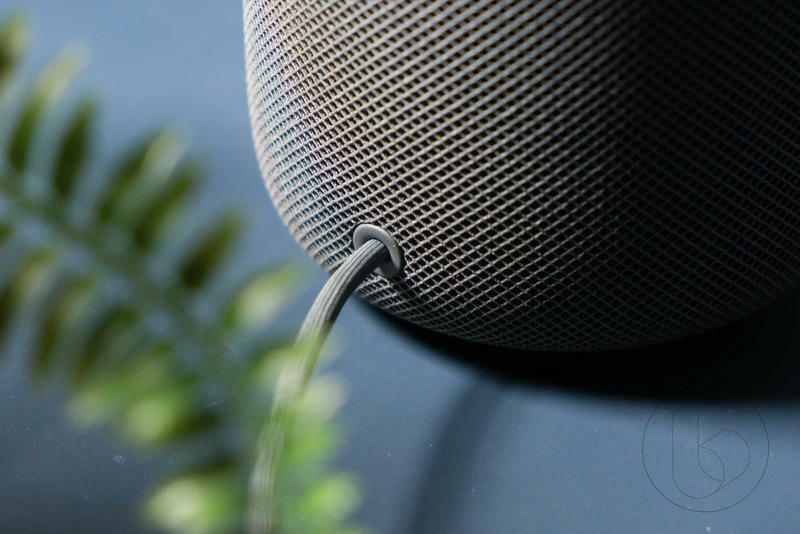 The HomePod very much exists within the company’s walled—often claustrophobic—garden. That means certain requisites are needed in order to use the speaker to its fullest potential; Apple Music is a must for voice controlled listening; an iPhone is needed for setup; etc. With these restrictions in mind, and comfortably living without Apple’s increasingly popular music service, I have no intention of returning the company’s speaker. The HomePod’s sound is too good, and the design so wonderfully compact, that I can’t give it up. Siri also does just enough that I stuffed my original Echo back into its packaging. Setup takes no effort: Apple’s method for setting up new products is magical. Simply place your iPhone near the HomePod and a prompt will guide you through the setup process, which takes about ten minutes. What’s nice is Apple’s software will automatically login to your Wi-Fi and iCloud account, negating the need to enter multiple passwords or download additional apps. It makes the process of setting up other products, including the Amazon Echo, seem archaic. 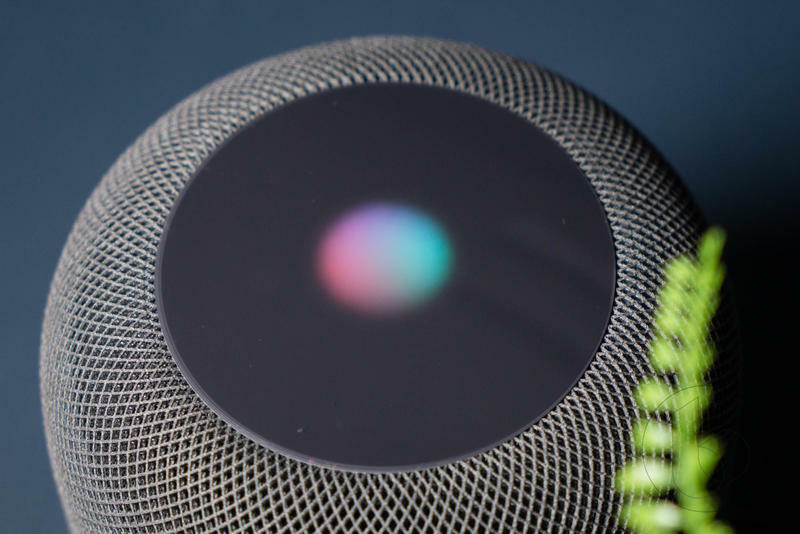 It knows where it is: Apple says the HomePod is equipped with spatial awareness, which means it can automatically adjust depending on where it’s placed. Whether it’s on a shelf, on your desk, or sitting in the middle of a room, HomePod will know exactly where it is. It’s a fairly complex process that occurs without any effort from the user, which is exactly how technology should work. 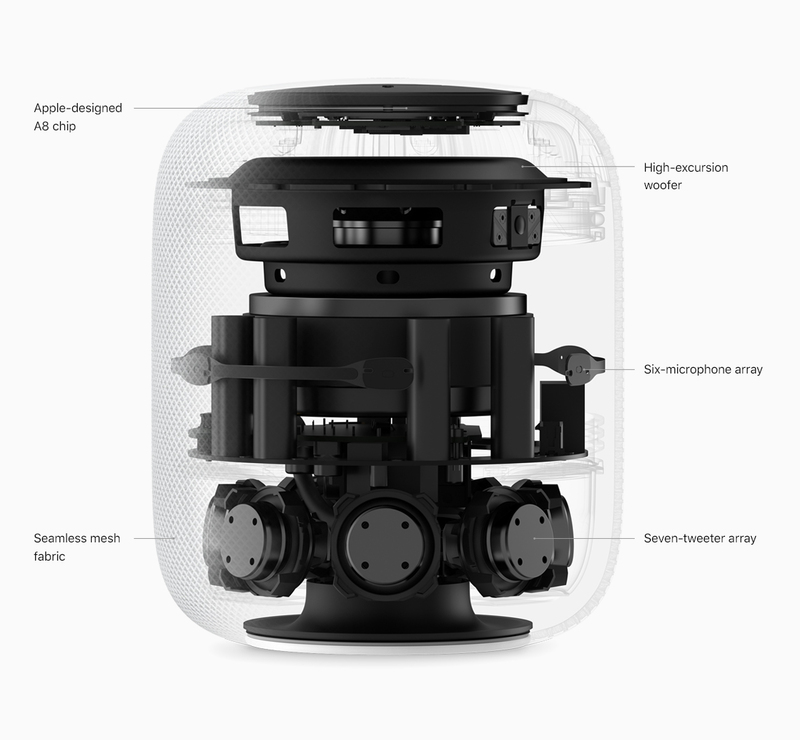 In addition to an A8 chip, the HomePod features a high-excursion woofer, six-microphone array, and seven-tweeter array, combining to offer sound quality that bests devices like the Home Max, Amazon Echo, and Sonos One. On a side note: I purchased the Sonos One last year and promptly returned it because I found the audio quality disappointing. That and I despised the Sonos app. I tested the HomePod in a number of locations; at TechnoBuffalo’s office; in a studio; in my bedroom; and in my living room, where it currently sits. Each time, the audio sounded great, filling the room and offering a clarity that other smart speakers—and even some high-end speakers—don’t. Everything sounds so clean and precise; it really does sound as if you’re listening to live music. When we compared the HomePod with the Home Max, Google’s speaker sounded noticeably muddled, and the bass was a bit overwhelming. The HomePod strikes a more pleasant balance, providing a richer, fuller sound with ample bass and good separation of instruments and vocals. On sound quality alone, the HomePod lives up to the hype. 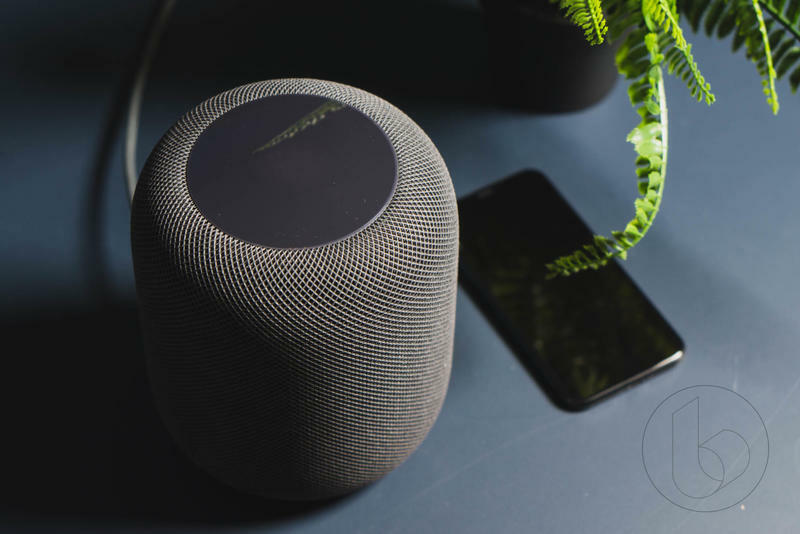 Product harmony: The nice thing is HomePod can easily be used with Apple’s other products, including the iPad, iPod touch, Mac, and HomeKit-compatible devices. Best of all, it can connect to the Apple TV, which is a nice perk if you don’t own a soundbar (guilty). No speaker pairing: As we said ahead of the HomePod’s launch, the device is unfinished. That’s disappointing considering Apple first unveiled its speaker last summer. It’s been a sad but common theme for the company over the past several months—iOS still hasn’t received features Apple promised at WWDC in 2017. In particular, the HomePod is unable to connect with a second HomePod. It’s unclear why the feature has been delayed, but Apple promises two HomePods together will create a “wider, more immersive soundstage” compared to a traditional stereo pair. Unfortunately, there’s no way to test this at the moment. HomePod owners will also be left waiting for AirPlay 2, which will allow users to play the same music (or different music) in multiple rooms. Again, this would have been a nice feature to test. Many of Apple’s biggest competitors already offer similar features. Siri is limited: Then there’s Siri, Apple’s digital assistant. Many iPhone owners will be very familiar with what the technology can and can’t do. Weirdly, the Siri found on your phone isn’t the same Siri found on the HomePod. You can’t train Siri to recognize your voice, and for whatever reason you can’t set more than one timer. Siri also can’t make phone calls, play content on Apple TV, or create calendar appointments, among many, many other things. If it wasn’t clear already, the HomePod’s version of Siri proves that Google Assistant and Amazon Alexa are far superior assistants. That being said, Siri does the basics well, like give a weather forecast, and the assistant is attentive even with loud music playing. After multiple listening sessions, Siri hasn’t had any issues hearing me. I imagine Apple will improve what Siri can do in the future, but right now the assistant is seriously lacking. Other limitations: With the iPhone, Apple has committed to a wireless future by eliminating the headphone jack. That same approach extends to the HomePod. You can’t plug the speaker into another device like, say, a turntable, which further limits the device’s utility. If you don’t own an iPhone, the HomePod pretty much doesn’t acknowledge you exist; Apple’s decision to exclude such a large userbase is asinine to say the least. Even if someone with an Android phone did buy a HomePod, they wouldn’t be able to set it up or play music through Bluetooth. These are very basic functions Apple’s speaker can’t perform. Also worth mentioning is the fact that the HomePod may damage your wood furniture. I have mine on a wooden media center and haven’t noticed any residue, but a number of reports led to a statement from Apple, which explained why the speaker was leaving behind marks. To be fair, the marks can easily be cleaned, but the fact is that the HomePod does leave behind a white ring. If you’re looking for a speaker with robust voice capabilities and compatibility with any streaming service, the HomePod is not for you. I’m fully aware the HomePod is limited and severely flawed; Google Home Max is arguably the best smart speaker on the market, despite its $400 price tag. Siri can’t hold a candle to Google Assistant, and it simply won’t work with Android phones. The speaker is also awaiting basic features, like pairing. But HomePod sounds fantastic, and that’s all I care about. And it’s the reason why I’m keeping it.